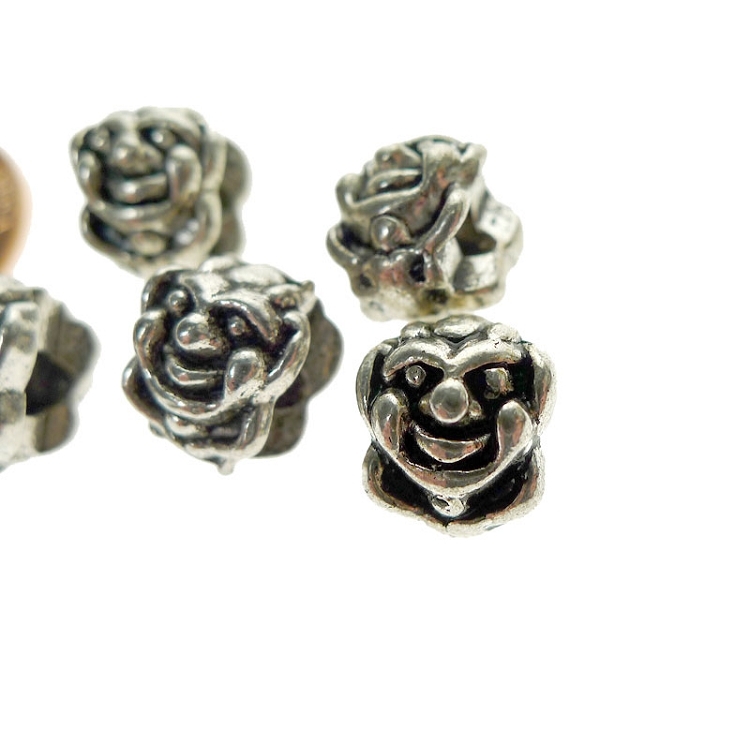 Clown Face Beads for your whimsical (or creepy) jewelry making projects. 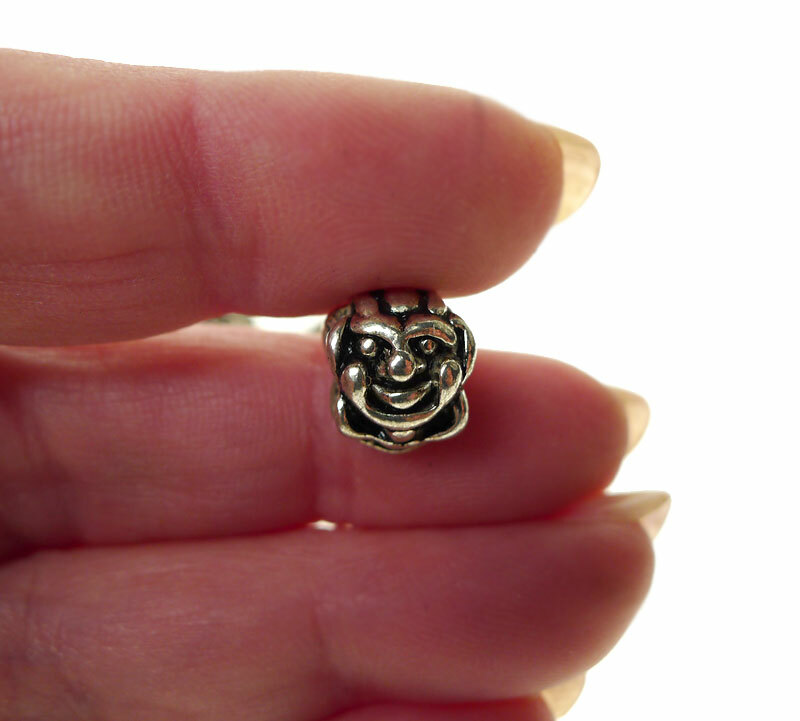 Overall, these Double-sided, 3D Face beads measure approx 9mm from side to side, 10.8mm from to bottom, and 10.5mm thick; side-2-side hole is approx 4mm in diameter. 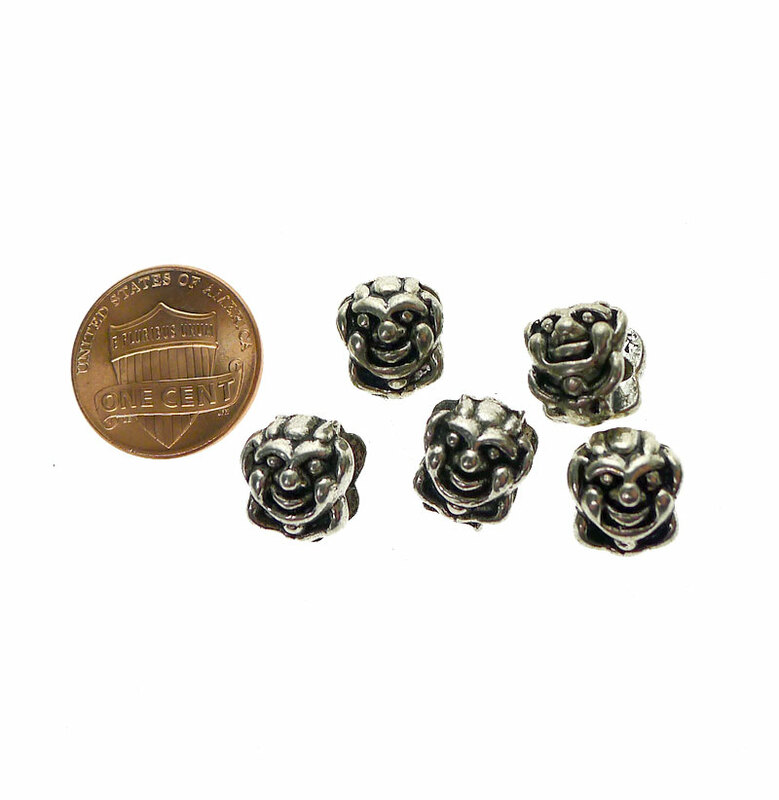 Tibetan Silver = Lead-free and Nickel-free Zinc Alloy Pewter with Antiqued Silver Finish. Sold by Bulk Package of 10-beads.